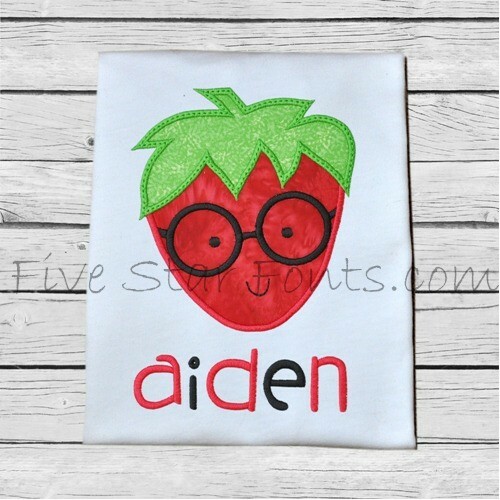 Perfect for Spring stitching, our Adorkable Strawberry Applique is sooo cute. It's simply sweet and FAST too, just 2 pieces of fabric. 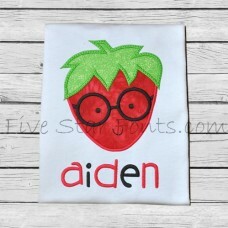 We used our 'Coffee Shoppe Overdose' Embroidery Font to add Aiden's name. Link to this cute font can be found in 'Related Products' Tab above. Artwork Courtesy of JW Illustrations.